Properly taken care of, a Hexy can easily last 30+ hours before any gears need replacement. We’ve done this at plenty of trade shows, where we’ve had it run for 10+ hours for 2 days without issue, taking the same robot to multiple events. In the beginning, I had a fair number of servo failures myself. However, at this point, I’ve run Hexys for probably 1000+ hours total. We’ve also done a lot of torture testing to discover what it is exactly that causes the failures. We’ve run servos under load for hours at a time with IR thermometers, and probably broken 50+ servos solely in the name of science of breakage. With all moves, walking, resetting and getting up especially, it is important that all legs meet the ground equally. Even when being careful to center the legs in the build process, it is likely that the legs will still be off-center because of how the gear horns and servos are made. PoMoCo has a feature that lets you make software-based offset adjustments that will result in the legs being much more equal. You can see this as the +/- signs next to each servo. You can even save these offsets to the same folder as PoMoCo.py, and it will automatically load these settings when PoMoCo starts. 2. Turn the servos off between uses. The primary cause of failure is the breakage of the small gear next to the output shaft. During normal operation, unless jerked, it tends not to fail. Heat, however, worsens this problem. The motors inside the servos are coreless motors, also known as ‘poor man’s brushless’. The advantage of coreless motors is that they have very high power output for their size/weight. The downside is that they tend to generate a lot of heat. Being inclosed in a plastic box, unless given time to rest, they can raise the temperature inside the box enough to soften the gears significantly to the point where failures can occur. Even having the servo in a “holding position”, under little or no load, can cause oscillations that may result in damage. This may not be visible at the output, but before the 4 stages of gearing, the motor is still actively going back and forth, generating heat. A good way to deal with this without compromising a move is to selectively turn motors off that aren’t needed. Another option is to just turn Hexy off in between uses. Higher voltage means more current, and thus higher power. Running them at 6v+ all the time creates more heat and more vibrations. Because the servos use a simple analog feedback circuit to maintain position, they can ‘overshoot’ their intended postion, try to correct and ‘overshoot’ again, going into an oscillatory feedback loop. This feedback loop generates heat, and heat generates failures. This effect is most pronounced with the hip servo, because it has the most moment-arm inertia (the most weight swinging back and forth), acting like a pendulum. The more power into each overshoot, the farther it will overshoot, the more it overcompensates. the wider the feedback. Lower voltage will mean less power, yes, but it will also mean less overshooting and jittering. It may seem counter-intuitive, but using less batteries in series will also make hexy last longer. Using 6v increases the current drawn vs 4.8v (Current = Voltage/Resistance), and thus shortens the battery life. Just like spraining your ankle, any sudden jarring movements can result in “spraining” your Hexy. The servos can fail under quite low levels of abuse. Suddenly moving a leg, even when not powered, can be too much for the gears and cause them to snap. This can happen as easily as someone walking by a leg sticking out from a table, catching a leg going past and snapping it back. Dropping Hexy is also obviously a no-no and please keep away from kids or pets who might be tempted to attack your Hexy. 1. How do I replace the servo gears? Sometimes with all the wear and tear of use (especially if you have 19 of them working in a robot…), servo gears need to be replaced. It’s a much cheaper alternative to buying a new servo. Please follow our step by step guide on how to replace your servo gears. 2. 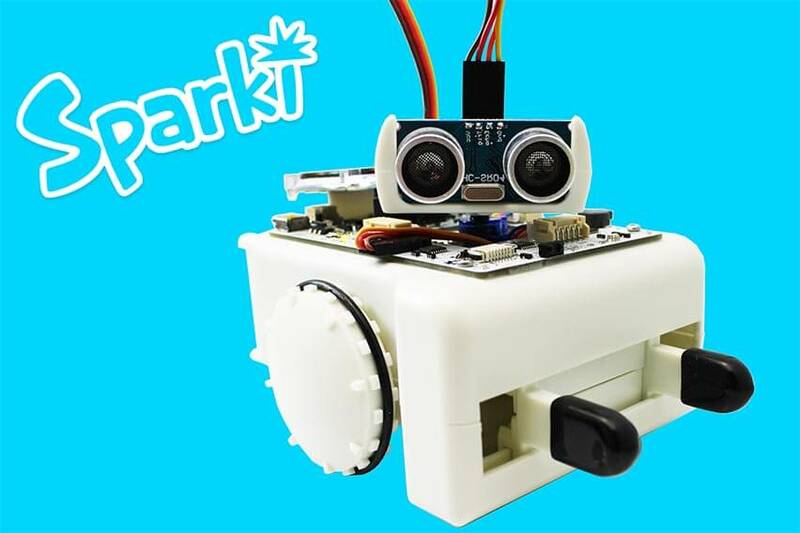 What if one of my servos is broken? Servos that are dead on arrival (DoA) will be replaced free of charge. Please email [email protected] if you think one of your servos is DoA. We rely on you, our customer, to be honest about which ones broke on arrival, and which ones break while getting the kit working. Servos that aren’t DoA but break soon thereafter are usually caused by damage to first full gear before the output shaft. This can almost always be fixed with a gear replacement. Your kit also includes servo gear replacement sets, and you can follow the guide in #1 to do the replacement. Please remember that no servos last forever, and these aren’t any different. 3. Do you also offer metal gear servos? Yes! We have designed an ArcBotics Metal Gear Micro Servo with Analog Feedback on sale now in our ArcBotics store. You can use these as an upgrade to your existing Hexy servos. 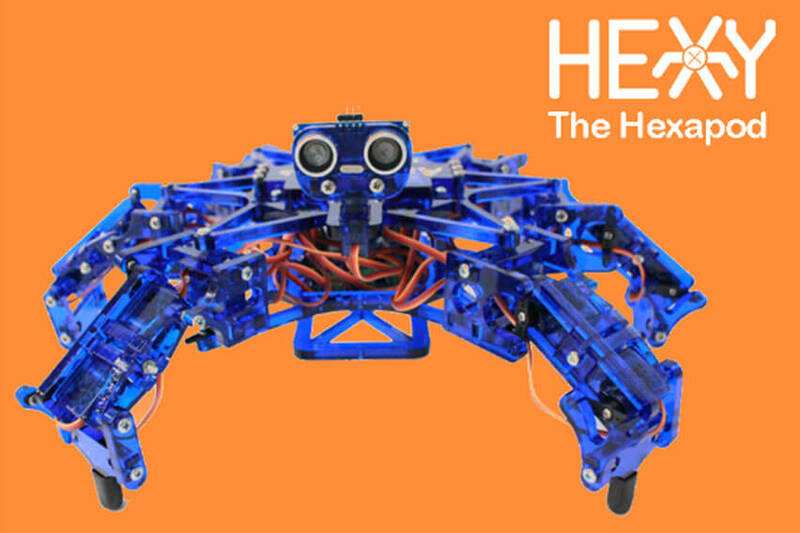 We are also offering a special discount of $3/servo to all existing Hexy customers. Please contact our support line at [email protected] with your name, order information of your Hexy (where you purchased it and date), and we will send you an unique discount code.